Our sheet materials and finished parts are made of different materials depending on individual requirements and operation purposes. In addition to polyethylene, we also process increasingly popular high-performance thermoplastics such as PVDF, PTFE or PEEK. We attach particular importance to the careful selection of raw materials and its producers in order to meet our own high quality standards and those of our customers. 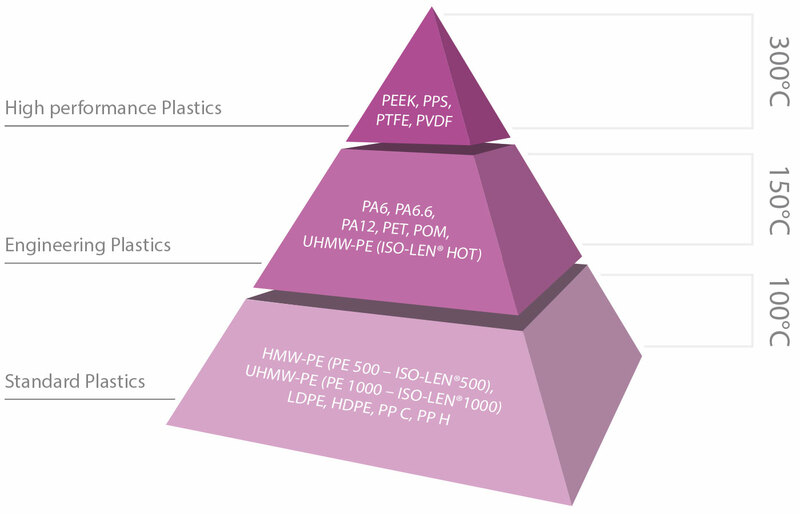 On the following pages you can find the key data for a selection of thermoplastics. Detailed material data can be found in our download section. Do you have a question about a material or about specific applications? We will be happy to help you. We look forward to hearing from you via telephone, e-mail or our contact form.